Interior Basement Water Management System Northern Virginia is a system Fairfax Contractor use to keep your basement from Flooding. The system is manufactured by Advanced Waterproofing Systems. 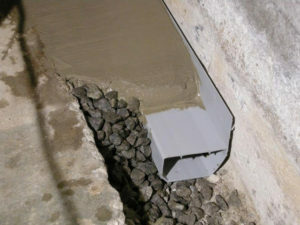 Waterguard Perimeter Basement Drainage Channel is are preferred choice for waterproofing your Northern Virginia basement. 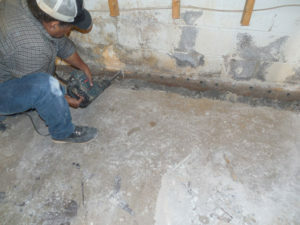 This interior basement waterproofing system will stop the problems of a flooding basement for good. 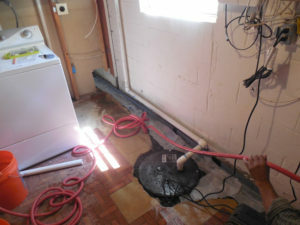 For more Information on Fairfax Contractors basement flooding solution main page click this link. Waterguard Perimeter basement drainage system will solve your flooding basement in your Northern Virginia home. Waterguard Perimeter basement drainage system is absolutely the best way to waterproof your wet, flooding basement problems for good. This cutting edge water management system is the best drainage system Fairfax Contractor uses. One of the great advantages of using Advanced Waterproofing Systems channels is in their design. The design of Advanced Waterproofing Systems is unquestionably the best system from keeping your basement from flooding. 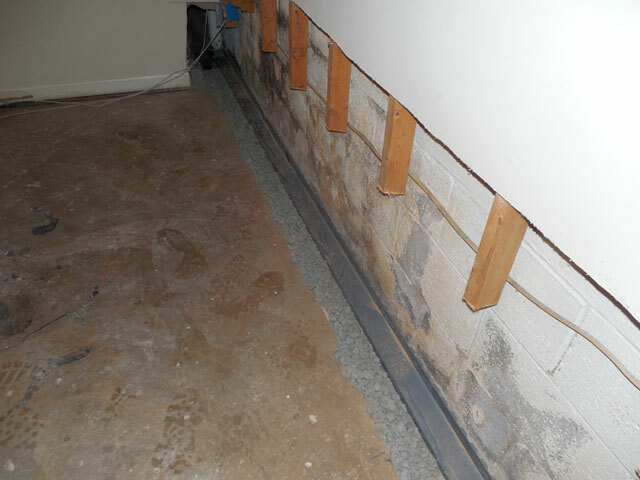 Advanced Waterproofing Systems fix’s the two main reasons basement foundation wall leak, causing basement flooding. Which include cracked cinder block and water infiltration from your basement wall foundation walls and the cold joint of your basement concrete slab. If your Northern Virginia basement foundation is constructed of cinder block there are two ways waters can infiltrate your basement. One, if your cinder blocks have cracked over the years the cinder block cell will fill with water. Overtime when we experience heavy rain the walls of cinder block basement walls will start to leak. This is because pressure of the water filled cinder block cannot handle the hydrostatic pressure pushing down on your cracked cinder block. Then the interior cracks in your cinder block wall will start to leak into the interior of your basement. 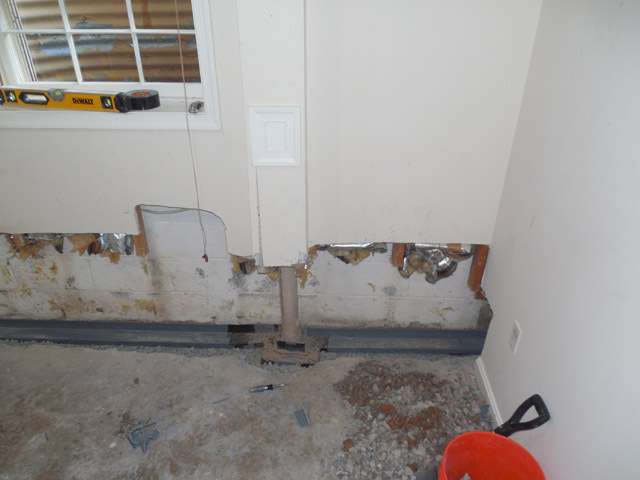 The second reason your Northern Virginia basement is flooding is the cold joint between your foundation walls and your basement slab has a cold joint that allows water to infiltrate though hydrostatic pressure. As the water table rises it exerts more and more pressure on the joint between your basement slab and the walls of your basement foundation causing your basement to flood. Interior basement water management system Northern Virginia will stop water from coming in even poured concrete walls. 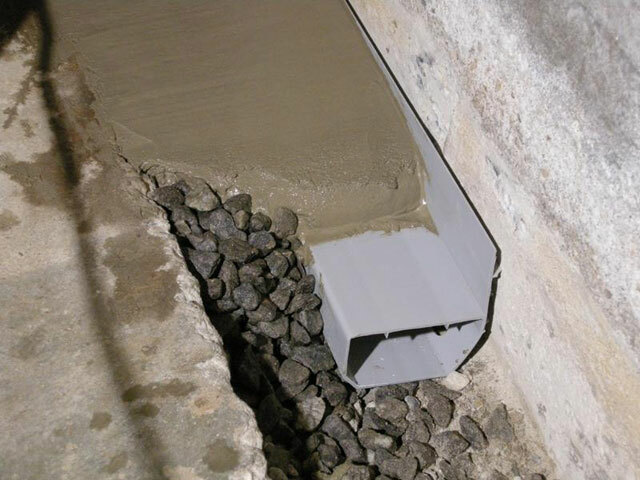 Advanced Waterproofing Systems is the perfect solution for poured concrete basement walls that are leaking water. 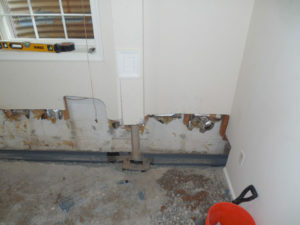 When we have intalled the Advanced Waterproofing System we will conect the sytem to a sump pump. The most inportant part of a water management system is the sump pump and crib installation. For more information on how we install sump pumps click this link. Fairfax contractor installs Advanced Waterproofing Systems to stop basement flooding in the Northern Virginia Counties including Arlington County, Fairfax County, Loudoun County, and Prince William County VA. We also install our cutting-edge water management systems in the following Fairfax County cities including Alexandria, Annandale, Burke, Clifton, Centreville, Chantilly, Fairfax, Fairfax City, Fairfax Station, Falls Church, Great Falls, Herndon, Kingstown, Langley, Lake Barcroft, Lorton, McLean, Newington, North Springfield, Oakton, Oak Hill, Reston, Springfield, Sterling, Tyson’s Corner, and the Vienna, Virginia. Fairfax Contractor also is licensed to do work including the cities of Arlington Forest, Ballston Crossings, Cherrydale, Claremont, Rivercrest, Westover, and Yorktown, Virginia. In Loudoun County, we install waterproofing repairs in the cities of Ashburn, Aldie, Bristow, Dulles, Countryside, Lansdowne, Leesburg, Purcellville, Potomac Falls, South Riding, and Stone Ridge Virginia. And finally, we work in the cities of, Prince William County, including Dumfries, Dale City, Gainesville, Haymarket, Lake Manassas, Lake Ridge, Manassas, Manassas Park, Occoquan, Triangle, York Shire, and Woodbridge Virginia.